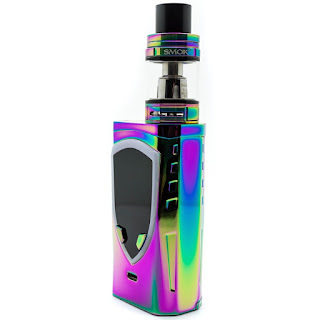 Home > ProColor Kit > ProColor Mod > SMOK > TFV8 BIG BABY Atomizer > vape kit > What Does the ProColor Kit Bring Us In Addition To Its Beautiful Appearance? The development of vape mod has reached the technical bottleneck period. For quite some time, each brand has locked its selling point on the design of the equipment. The LED lamp is a common vape mod design element. 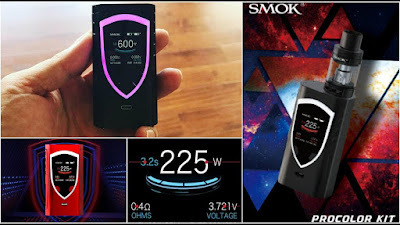 Today, we share a SMOK PROCOLOR 225W which is the ultimate vape mod for the use of LEDs. 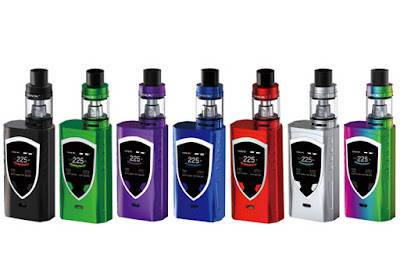 SMOK's style has been fixed in the form of vape kits. This product is called PRO-COLOR. In fact, we are all very clear. Through the official website, we can understand that this section of vape kits has seven selectable colors, so we can easily select the one we like. If you think that the appearance of the color is "PRO-COLOR" feature, then you are a bit low on this product. 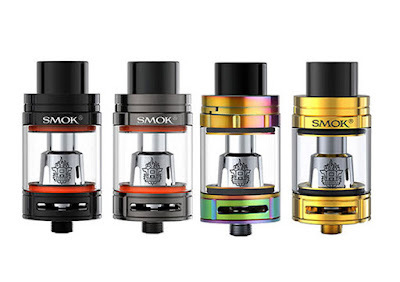 SMOK has been designed with a shield-shaped LED lamp on PROCOLOR 225W. By setting the chip, it can achieve a lot of LED color switching. If you like to go to the nightclub, you can certainly attract a lot of attention when you use it. Pro-color equipped with TFV8 BIG BABY atomizer, supporting two Q2 and T8 atomizer coils, if the entry stage friends can get the ultimate vaping experience, then there is no doubt that it will give us more creativity. The large fire button is continued, so it can be easily fired when used. In fact, in addition to the fire press experience, the side of the fire button added a rectangular element design, so that the appearance of this vape mod looks more scientific. When vape mod installed the battery and turned it on, the charm of this Pro-color began to show. 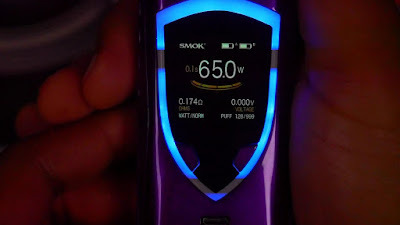 First put aside the "shield" LED light function, SMOK in this section of the vape kit's display using a color screen, the menu display is more clear than the previous product. When you enter the selection menu, the visible content is clearer than the previous chip. You do not need to press the fire button once to switch. The operation on PROCOLOR is completely visualized. SMOK's own chip is upgraded again.